When you're in a long distance relationship and spending most of your time either travelling up and down the East Coast line or chatting on Skype you dream of the day you can be together and how perfect it will be. We were so excited about my big move to Newcastle and fantasised frequently about how we would meet up after work and go for cocktails and dinner on the Quayside. Of course the reality is that unless you are the Beckhams date night has to be a bit of a treat or you'd end up with no pennies in your purse. Amazingly we've managed to have three date night Tuesdays in a row with a trip to Lane 7, the fireworks and this week we decided to go out for dinner at Browns. 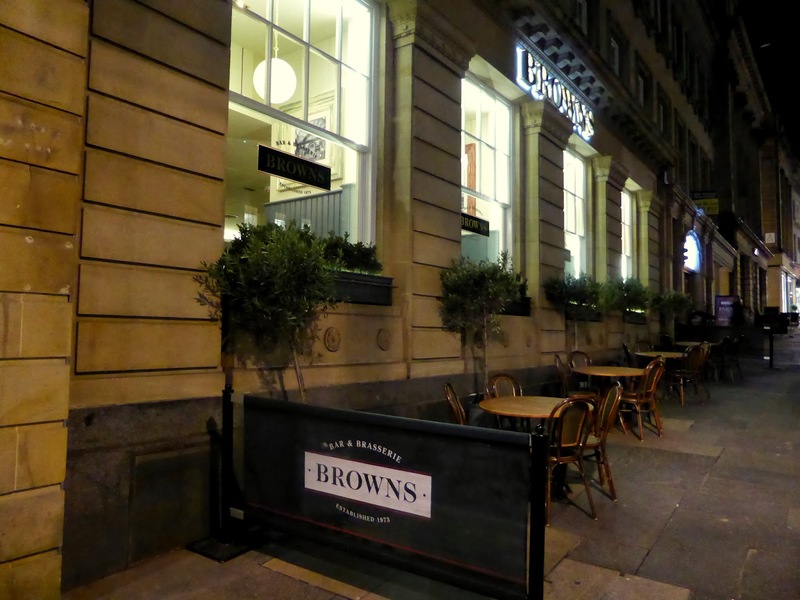 Despite having lived in London for 5 years I'd never actually been to Browns before and it wasn't on my radar until I saw it's location on the beautiful Grey Street in Newcastle and decided I'd quite like to try it. I recently signed up to be a "friend of Browns" and when they sent me an e-mail for 2 courses for £10.00 it seemed an ideal time to give it a go. Before I go on, I would just like to say that what I'm about to say is my own personal opinion. I want my blog to be an honest account of my life in Toon and therefore I like to share my experiences, whether good or bad. Unfortunately we were less than impressed. I think as you get older your taste in restaurants does change and you do become a little more particular about eating really nice quality food when you're out. It doesn't necessarily have to come with a hefty price tag and I wouldn't even say that I'm snobby about eating in chain restaurants - but I do expect my food to taste delicious when I've paid money for it. I was expecting Browns to be the nicer end of chain restaurant food and was really looking forward to trying it, maybe that's why I felt let down when it fell short. 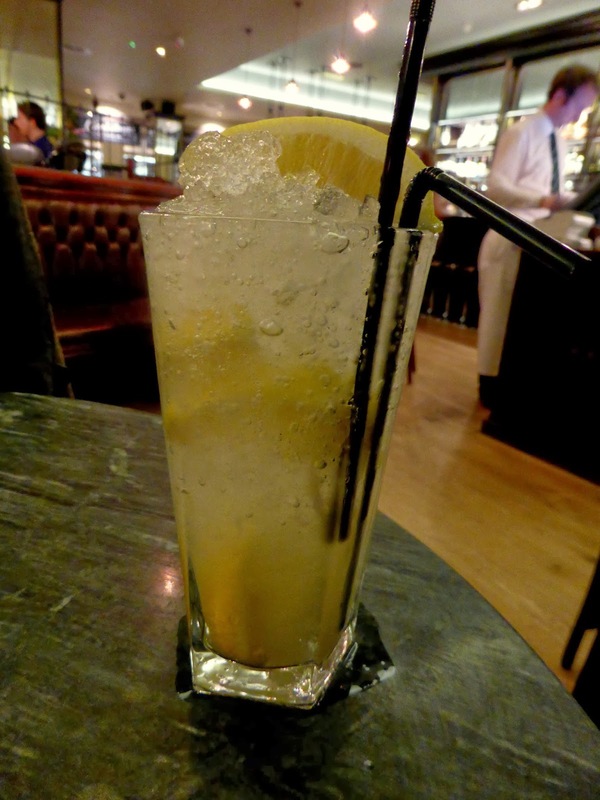 We both ordered a lemonade which was absolutely delicious and looked really good, but was so full of ice that within 5 minutes we were drinking weak lemony water. Such a shame. For my main course I chose the chicken, leek and bacon pie. 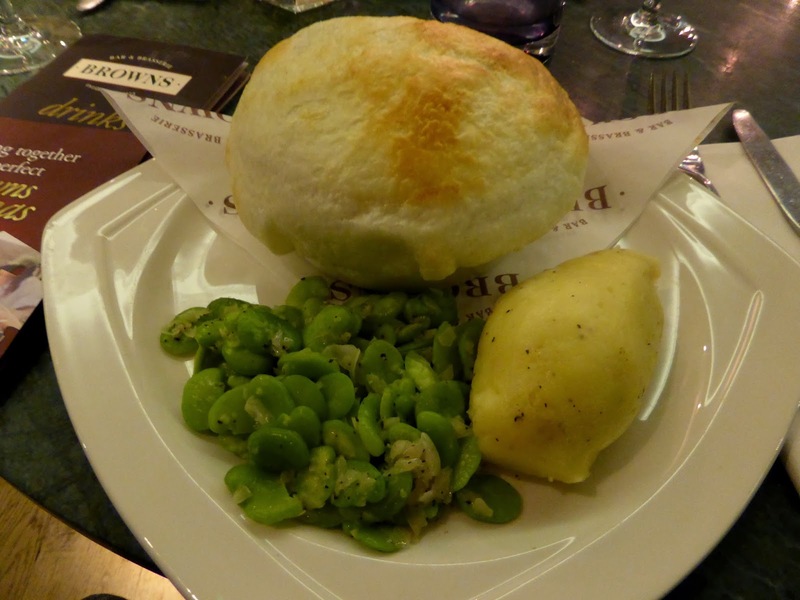 The overall presentation of the food was great, my eyes almost popped out when I saw the size of the pie. But then I got my hands on it and realised the pie was built round a bowl, then when I cut into the pastry it was so thin and flaky it all but vanished. The cream, white wine and mint sauce was tasty though so that was a relief. 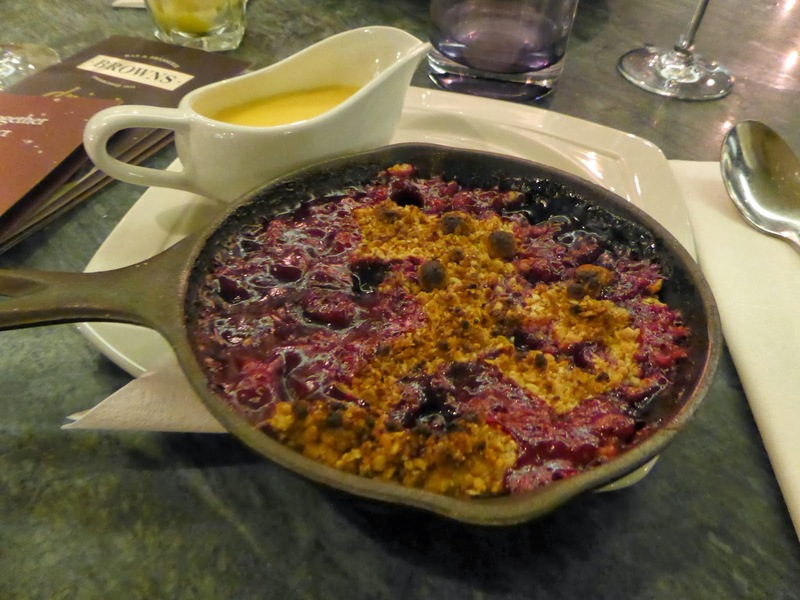 Dessert, my favourite course, and being a huge fan of cherries I went for the peach and cherry crumble. It came in a little metal dish, which unfortunately meant that the fruit tasted like metal - as well as being a bit burnt. I was also rather shocked when I had a look at the menu to see how much my meal would have cost had we not had a voucher. My pie and dessert totalled £17.50! I'm thankful I only paid £10.00. So all in all a bit of a let down and it was such a shame because I'd really been looking forward to giving it a try. I'd be interested to know if anyone else has had a bad experience, or maybe we were just unlucky on the night? I'd been to the Leeds one previously and was always really impressed, so was excited when it opened in Newcastle. However, I went in September and the pasta I ordered was disgusting - there was almost no sauce on it so I had to ask them for some more sauce (eating plain pasta isn't fun!). The staff were really good, I was just expecting more from the food, especially for my birthday meal. Maybe the chefs aren't so good in the Newcastle one? Oooooooooh that's interesting! Maybe I should go to Leeds and compare.